You know what I hate about the Nexus 7? Nothing. But I dislike the limited amount of storage - 16GB just isn't enough, especially considering the size of games like Horn and The Bard's Tale. What I'd really like to see is a 32GB version of the device, and according to a leaked Carphone Warehouse screenshot that showed up over at Droid Life, that dream may actually come to fruition. OK, there are actually a couple of things to talk about first, so let's start with the obvious: ZOMG a Nexus 2! That's actually how CW lists the Nexus S, so it's nothing of concern to, well, anyone. Secondly, a brown N7? Who knows what that's all about. All I can say is "ewww... brown?" We'll see what's up with that. Now, the important part. 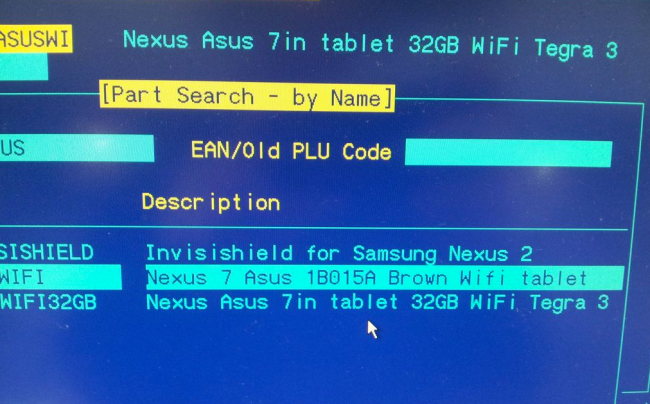 There it is, clear as crystal: "Nexus Asus 7in tablet 32GB WiFi Tegra 3." Does this prove the existence of the 32GB N7? Hardly. It could be at typo. It could be nothing. Then again, it could actually mean Google realizes that 8 or 16GB of storage is awfully small and a 32GB version is a good idea. At this point, we really don't know - but here's to hoping that a N7 with more space is on its way.